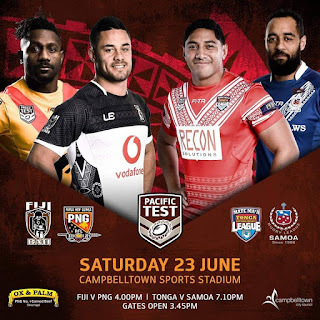 We will bring live updates of the Pacific Test Match between Papua New Guinea Kumuls and Fiji Bati this afternoon starting at 3:55 pm. We will use twitter feed to update the game. Team Lineups for both teams. Interchange: 14 Eloni Vunakece, 15 Pio Seci, 16 Sitiveni Moceidreke, 17 Pio Sokobalavu.